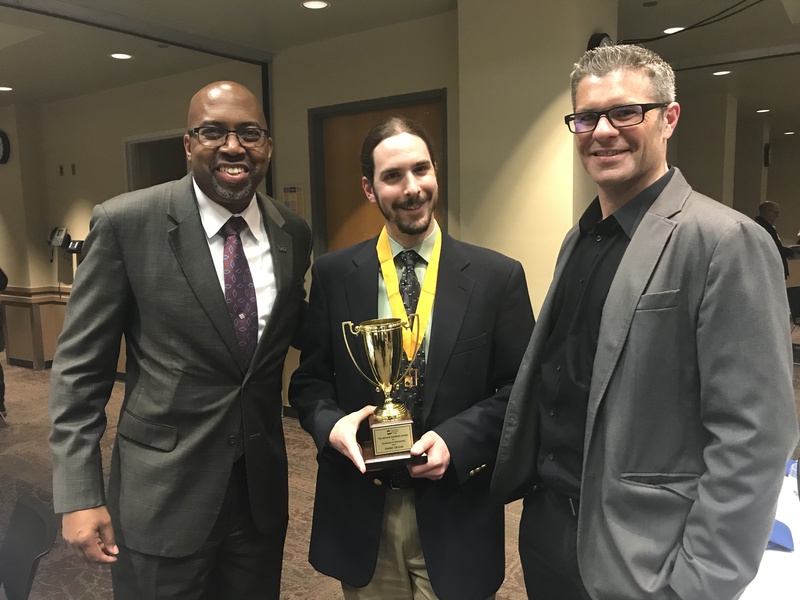 April 12, 2019 GRAND RAPIDS, Mich. — A Computer Information Systems student received Grand Rapids Community College’s Arthur Andrews Award during a dinner Thursday honoring members of Delta Pi Alpha. Daniel Cruzan received this year's award, which goes to the Delta Pi Alpha student with the highest cumulative GPA and the greatest number of honor points. As part of his coursework, Cruzan took four classes through GRCC’s partnership with Cisco Networking Academy and then passed a rigorous exam to become a Cisco Certified Network Associate. This spring, he will receive an Associate of Applied Arts and Science degree and will work toward a bachelor’s degree at Ferris State University. Cruzan said his pathway to success was longer and more challenging than expected. He worked in a factory after losing his father to cancer. The Arthur Andrews Award is given in memory of Grand Rapids Junior College's second president. While the Andrews Award recognizes the student with the highest GPA, being a member of Delta Pi Alpha is itself an honor. That recognition goes only to students with excellent academic achievements from the top 5 percent of the graduating class. This year, 80 students were inducted into Delta Pi Alpha.